RSVP for dinner is required. Sign up now – space is limited! Click here to RSVP. Special guest Steven J. Zipperstein will speak to us about his latest work, Pogrom: Kishinev and the Tilt of History, a 2018 non-fiction book about the events leading to the Kishinev Pogrom, the atrocities of the event itself, and its legacy. The night will begin with a few minutes of schmoozing and light buffet-style dinner, followed by a talk and questions from the group. Stick around for Shabbat services at 7:30 pm lead by Rabbi Mychal Copeland and Martin Tannenbaum. Dinner sponsored by Sha’ar Zahav members, Alex Ingersoll and Martin Tannenbaum. Kishinev’s 1903 pogrom was the first instance in Russian Jewish life where an event received international attention. The riot, leaving 49 dead, in an obscure border town, dominated headlines in the western world for weeks. It intruded on Russian-American relations and inspired endeavors as widely contradictory as the Hagannah, the precursor to the Israeli army, the NAACP, and the first version of “The Protocols of the Elders of Zion.” How did this incident to define so much, and for so long? 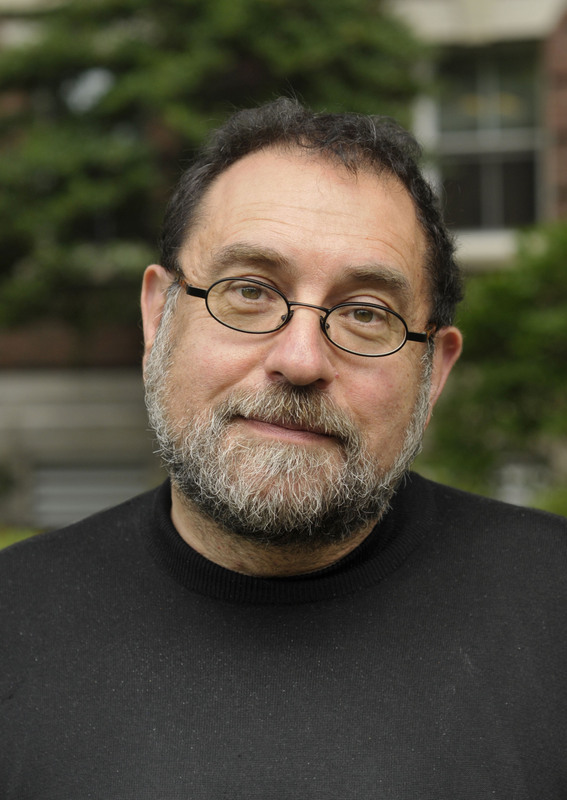 Steven J. Zipperstein is the Daniel E. Koshland Professor in Jewish Culture and History at Stanford University. He has also taught at universities in Russia, Poland, France, and Israel; for six years he taught Jewish history at Oxford University. From 1991-2007, he was Director of the Taube Center for Jewish Studies at Stanford. Zipperstein is the author and editor of nine books including The Jews of Odessa: A Cultural History (1986, winner of the Smilen Prize for the Outstanding book in Jewish history); Elusive Prophet: Ahad Ha’am and the Origins of Zionism (1993, winner of the National Jewish Book Award); Imagining Russian Jewry (1999); and Rosenfeld’s Lives: Fame, Oblivion, and the Furies of Writing (2008, shortlisted for the National Jewish Book Award in Biography, Autobiography and Memoir). His work has been translated into Russian, Hebrew, and French. Zipperstein’s latest book, Pogrom: Kishinev and the Tilt of History, published by Liveright/W. W. Norton in 2018, has been widely reviewed in newspapers and magazines in the United States and England including The New York Times, The New Yorker, The New Statesman, Literary Review, and the San Francisco Chronicle. The Economist, Ha-Aretz, San Francisco Chronicle and Mosaic Magazine have named it one of the best books of the year. He has been awarded the Leviant Prize of the Modern Language Association, the Judah Magnes Gold Medal of the American Friends of the Hebrew University, and the Koret Prize for Outstanding Contributions to the American Jewish community. He has held fellowships at the Radcliffe Institute at Harvard University, the Institute for Advanced Studies at the Hebrew University of Jerusalem, the Yitzhak Rabin Institute in Tel Aviv, and has twice been a Visiting Professor at the Ecole des Hautes Etudes Sciences Sociales. In spring 2014, he was the first Jacob Kronhill Scholar at the YIVO Institute for Jewish Research, in New York. At Stanford, and earlier at Oxford and UCLA, he has supervised the dissertation work of more than thirty students now teaching at universities and colleges in the United States, Canada, and elsewhere. He has delivered keynote addresses and endowed lectures at several dozen universities in the United States and abroad including the Hebrew University, Jerusalem; Central European University, Budapest; Emory; UCLA; University of Wisconsin, Madison; and the National Yiddish Book Center. Zipperstein’s articles have appeared in The New York Times Sunday Book Review, the Washington Post, The New Republic, the Jewish Review of Books, Chronicle of Higher Education and in many scholarly journals. He was an editor of Jewish Social Studies for twenty years, and the book series Stanford Studies in Jewish History and Culture for a quarter of a century. He is immediate past Chair of the Academic Council of the Center for Jewish History, in New York. Together with Anita Shapira, he is series editor of the Yale University Press/Leon Black Foundation Jewish Lives volumes that were named in 2015 the best books of the year by the National Jewish Book Council — the first time a book series has won this prize. Some forty-five Jewish Lives books have already appeared, and Zipperstein plans to write for the series the biography of Philip Roth. He and his wife Susan Berrin live in Berkeley.